It’s bittersweet to see an Aussie talent make it large in any place other than Australia. We cling to our Hugh Jackmans and smashed avos, reminding them, ourselves, and the world that even though the global stage was perhaps more nurturing than our own grounds, they’re still OURS and we loved them first (and don’t they dare forget it). Blood is thicker than (international) waters, in a way. This phenomenon is bestowed upon our latest triumph – the disco-pop Byron Bay party-starters, Parcels, who’ve recently returned to home shores touring their self-titled debut album. One of Australia’s best exports is music and Parcels sits in this as a relatively recent but incredibly solid addition to both recorded and live performance. Hailing from the sunny coast of northern NSW, Parcels embraced their love for cooler weather in arguably the most European of Australian cities, Melbourne, for the 14th of January album show at 170 Russell. Starting shrouded by dim lights, the five-piece followed their album’s layout with a perfect replica of ‘Comedown’ (albeit a dramatically extended pause before the initial breakdown) and launching ‘Lightenup’ directly after. The two songs are designed to flow into each other – to change this would ruin Parcels’ carefully crafted sound. It’s an experience. Their shaggy 70s haircuts swayed in time with their fangirls doo-doo-doo’ing. At five members plus multiple instruments, the stage was packed but it was no deterrent to movement. Guitarists Jules Crommelin and Noah Hill wiggled through at every chance to enjoy moments with their more stationary bandmates, Louie Swain and Patrick Hetherington on keys and Anatole “Toto” Serret on the kit. It must be said often but the Daft Punk influence is obvious. 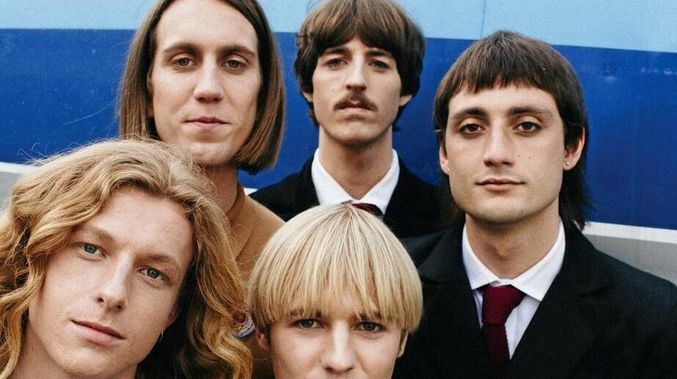 After a “sweaty” 2016 basement gig, Parcels was contacted by the revered electronic duo for collaboration and produced their breakthrough single, ‘Overnight’. Whilst the electro-groove that’s synonymous with The Robots flows through Parcels’ music, it’s still entirely their own and was apparent on tracks like 2017’s ‘Hideout’. Love for their craft had the band jumping around the stage, knocking cowbells and triangles with gusto and calling for duets (or duels, really) between Crommelin and Hill with barely a break between songs. In a way, the show wasn’t for the audience. They just happened to be another fragment of the experience. And honestly – it was refreshing. The first clap-along of the night wasn’t until at least a third of the way through the set, during ‘Withorwithout’. That being said, Parcels didn’t neglect their showgoers. Racing hearts and energised bodies were given rests through Parcels’ slower repertoire. In particular, the album’s penultimate track ‘Bemyself’ gave the audience an opportunity to indulge in something reminiscent of barber shop quartets and Fleet Foxes-esque melodies. Credit to the band’s stage crew too – the atmosphere was dreamy under a lazily turning disco ball, stray confetti, and cool-toned lighting like something out of an 80s video clip. It’s like the band just flows – in presence, in performance, in energy, and in talent. Every band asks this. Sometimes it’s out of need for validation, sometimes it’s for genuine interest in their crowd. With Parcels, it just seemed like a friend checking in. How poignant it is when a question like this is followed by tracks like ‘Tieduprightnow’ and ’Closetowhy’ where they seem to sing of laying out your thoughts and missing a quiet mind. It’s lyricism like this that cherry-on-tops Parcels’ talent – not just catchy instrumentals, great stage presence, or an on-trend 70s look – and speaks volumes of their inherent potential. 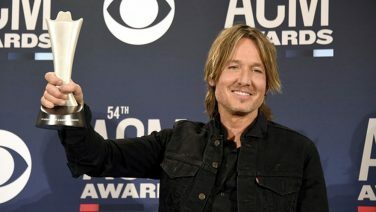 But, and it was something that wasn’t missed by fans, the band acknowledges where they’ve come from and those that have played a role in bringing them into their current spotlight. With a final (and highly anticipated) track for the night, Parcels left their stage and instruments one by one, thanking their audience to the Daft Punk-produced riff of ‘Overnight’s outro.